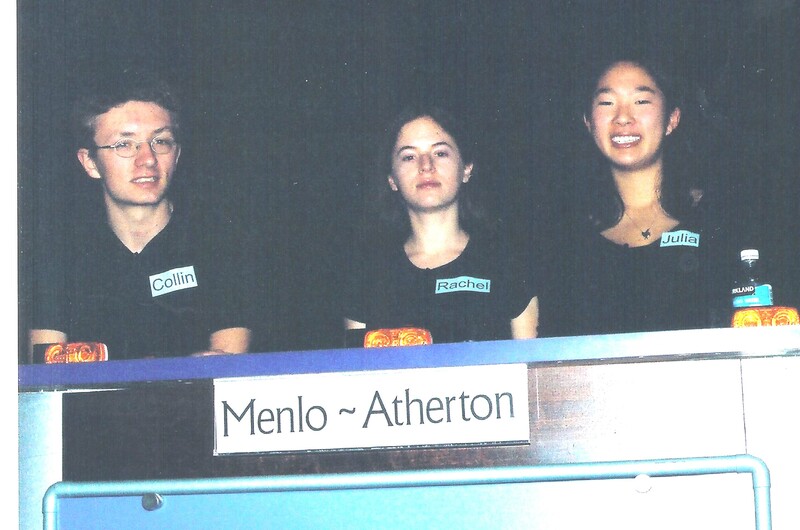 These photos are from the Menlo-Atherton / Sacred Heart Prep match on Bay Area Quiz Kids Sat Jan 29, 2005. Photos are not copyrighted - help yourself. 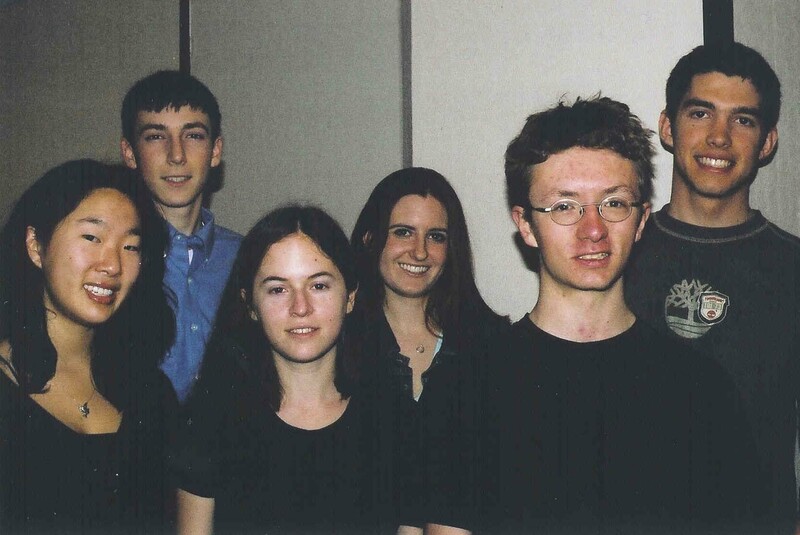 For a higher-resolution version of a picture, click on it. Or listed together, L to R: Julia Choe, Billy Rowan, Rachel Barclay, Nicole Villeneuve, Collin Cronkite, Stephan Goupille.